DSLRs are great astrophotography cameras (even for long exposures of deep-sky objects such as galaxies, nebulae or star clusters) since they have high sensitivity and low noise, so they are able to record very weak details. Just use an equatorial mount with autoguide port and EAGLE CORE will allow you to record wonderful images of the objects of the Universe both using photographic lenses and telescopes! Thanks to EAGLE CORE, your instrument will have the high performance of an astrophotography telescope but with the portability and ease of use of a star tracker. Compared to EAGLE2, that thanks to Windows operating system and the ability to install any astrophotography software is perfect for the astrophotographer that wants to make advanced astrophotography, EAGLE CORE is designed for those who start to do astrophotography and are searching for a very simple to use system or for those who want an easily transportable system as "travel telescope". 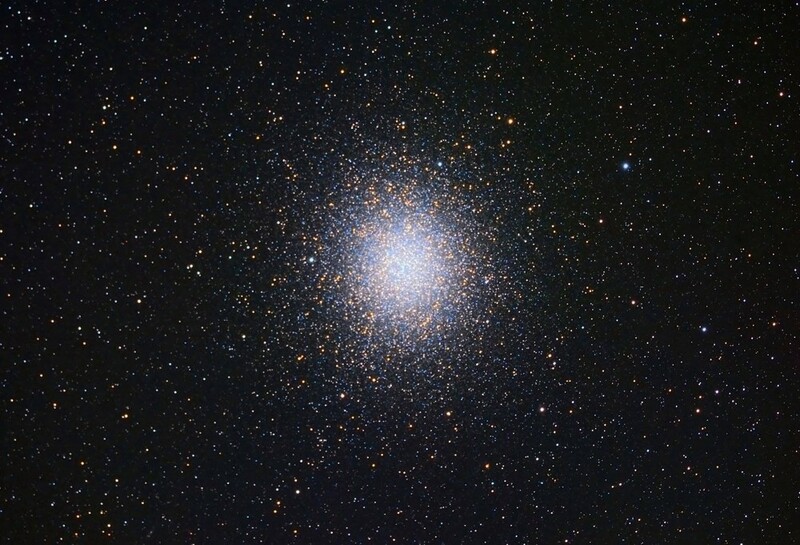 In order to make high quality astrophotography, connecting a DSLR to the telescope is not enough. It is necessary to be able to set and shoot the camera without touching it to avoid vibrations while recording and use the autoguide to automatically correct normal tracking errors of equatorial mounts. 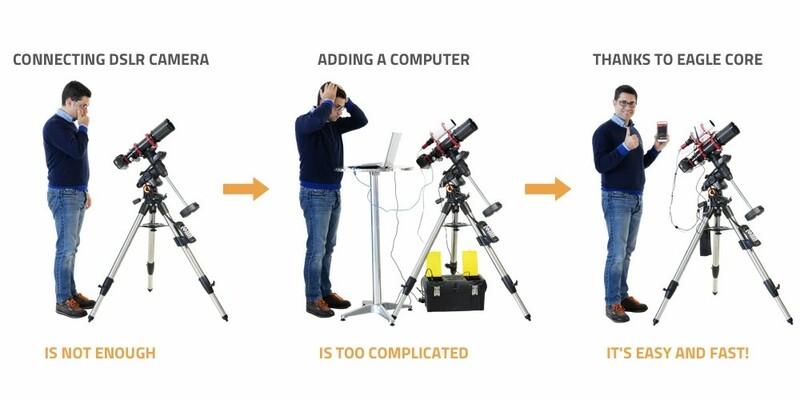 When using an external computer, telescope becomes complicated because of many cables or power supplies, it is less portable and it is necessary to study the capture and guide software. 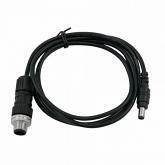 EAGLE CORE simplifies both your telescope and software, making your instrument easier to use and transport. There is new, funny video about Eagle Core! 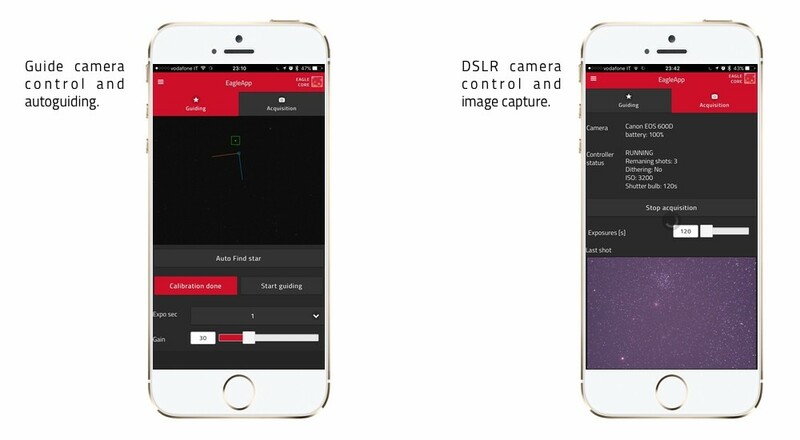 Technical comment by Filippo: "Using EAGLE CORE is like having a capture software for your DSLR camera and an autoguide software, all in your smartphone or tablet! Personally I use it with Celestron SkyQ Link 2 or Simulation Curriculum SkyFi III to remotely control with WiFi also the mount: this way I can control telescope position from one app (like SkyPortal or SkySafari) to align and slew it to the object I want to record. 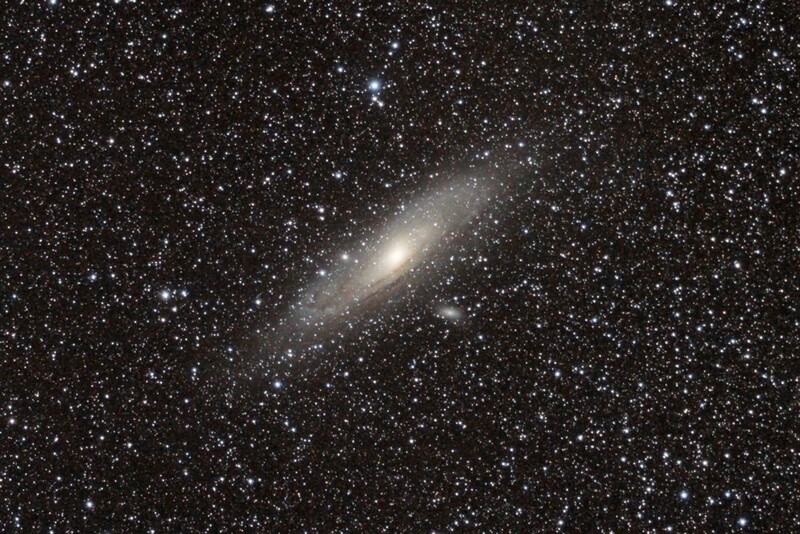 Often I move to the mountains but I also photograph from my backyard controlling the telescope from the sofa!" 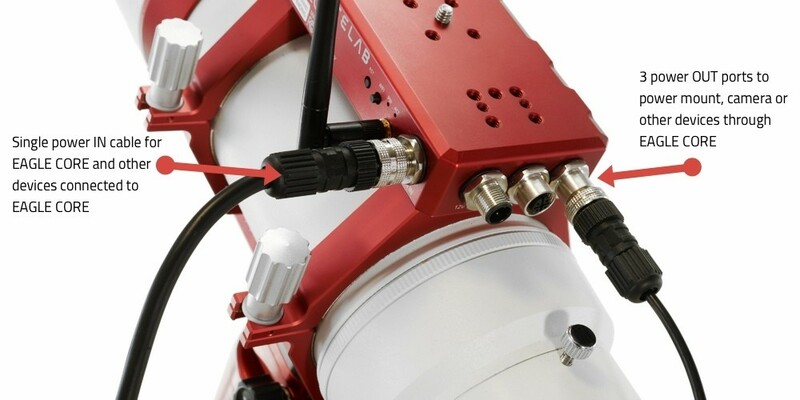 As for other EAGLE control units, EAGLE CORE is installed directly on your telescope, it powers the elements of your telescope (12V, up to 3 instruments) and it has a modular PLUS case allowing you to install it on all telescopes and to personalize your configuration as you prefer. It has also been designed to allow you to do long exposure astrophotography even with telephoto lenses thanks to a special shooting mode with the guide scope positioned at the telephoto lens side (see photo below). In order to use EAGLE CORE together with a telephoto lens (and guide scope in parallel) you have to add "140mm PLUS dovetail bar" to be connected under EAGLE CORE body, in order to install everything on the equatorial mount. In the upper part the Eagle Core has a 1 1/4" photo thread to connect a photo ball head and then the camera. If you have an heavy photo lens (for example with focal length higher than 200mm) you can add the "PLUS Vixen+Losmandy dovetail clamp". Then you can connect the "PLUS 90mm Vixen dovetail bar" under the camera and then connect everything in the dovetail clamp. The guide scope is installed, using the optional 80mm PLUS guide rings and PLUS raisers, to be fixed on the side of EAGLE CORE. 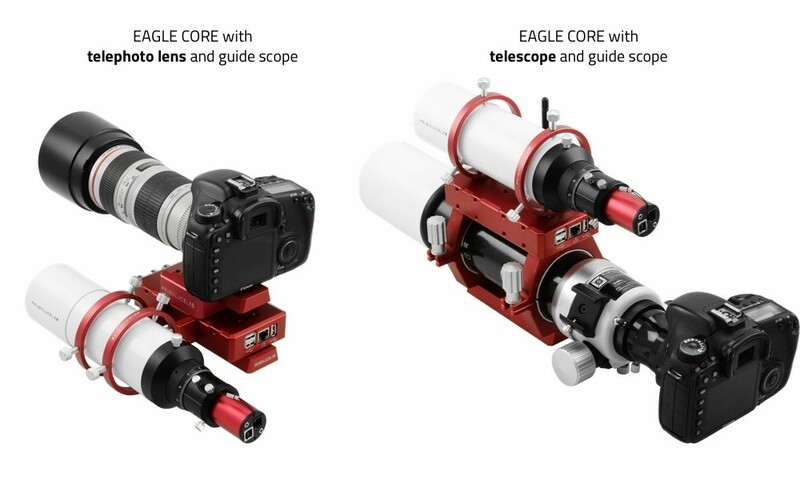 In order to use EAGLE CORE with a telescope (and guide scope in parallel) you can connect it in many different ways and it's compatible with all the telescopes on the market: you can fix it on top of PLUS support rings (for example when you use a refractor) or you can add the dovetail clamp Vixen+Losmandy PLUS and connect to any Vixen or Losmandy style bar. Above EAGLE CORE body you can connect PLUS guide rings with guide scope (where to insert the guide camera). 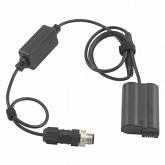 - Power up to 3 devices (12V): thanks to optional cables and adapters, you can power the DSLR camera, the mount, etc directly from the EAGLE CORE eliminating the need for other batteries and other external power supplies. Thanks to EAGLE CORE you will no longer need a laptop: in fact it includes EAGLE OS software to control autoguide and DSLR camera. 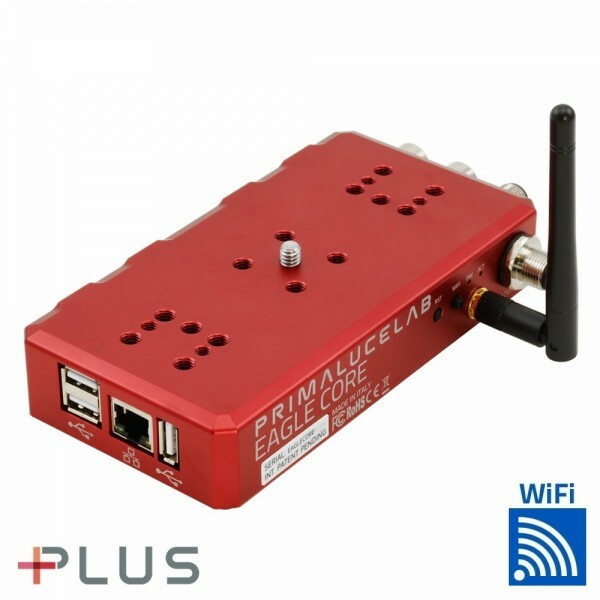 You can control all capture and guide parameters directly on the screen of your smartphone or your tablet (compatible with iOS and Android devices) connected to EAGLE CORE through the convenient WiFi connection. 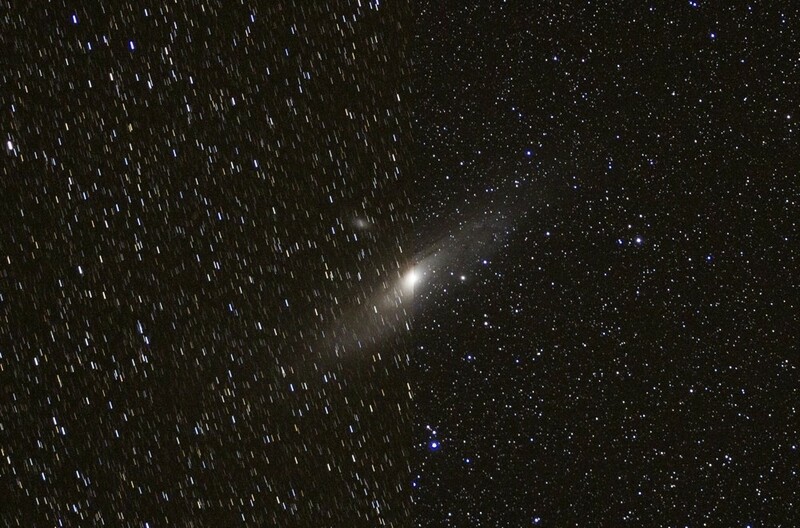 Using the autoguide feature of EAGLE CORE, classic tracking error of the equatorial mounts are corrected: in the image below you can see how a 300 seconds exposition picture recorded at 200mm focal length shows stars not well tracked if the autoguide is not activated (left) and perfectly tracked when we use the autoguide (right). 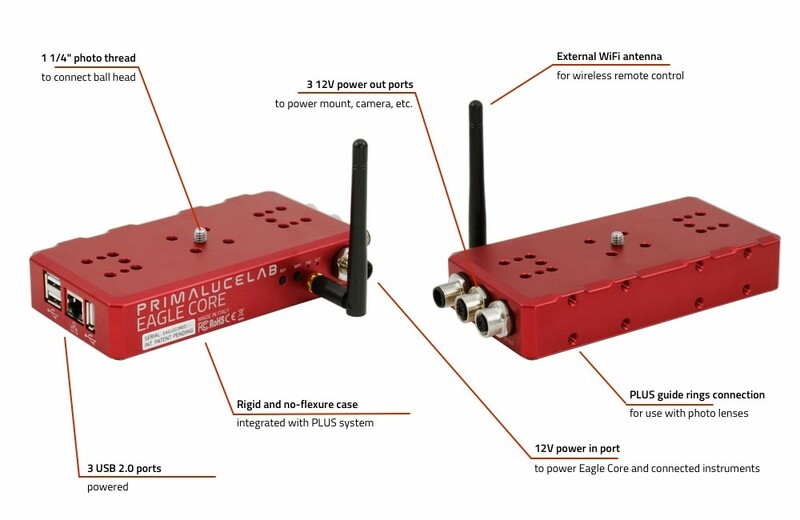 Thanks to the innovative design protected by international patent application and Italian utility model, EAGLE CORE has 3 power OUT ports that you can connect (using the optional cables) to different devices such as camera or mount. In this way you will have only one power cable to power EAGLE CORE and other devices and you will reduce not only total consumption but also the number of cables in your instrument. You can also use the optional "Eagle-compatible power cable for Canon EOS and Nikon DSLR camera" to power them from EAGLE CORE (removing the battery you will no more have problems with batteries running out of charge during capturing!). 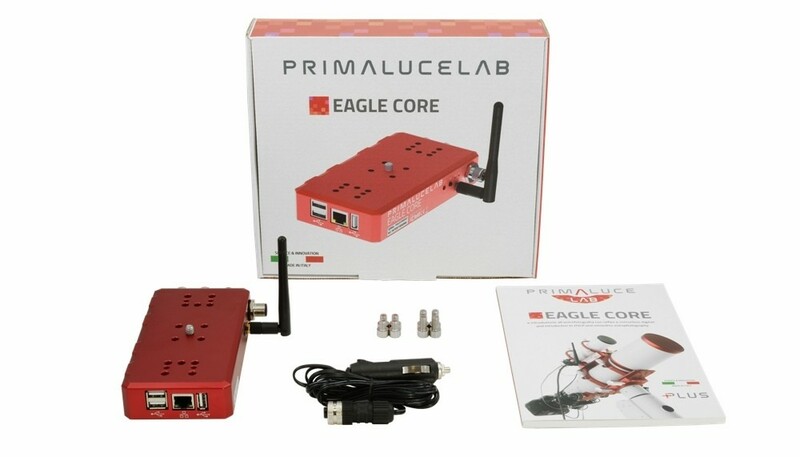 All the incredible features of EAGLE CORE are enclosed in a compact, lightweight device with the great PrimaLuceLab design. 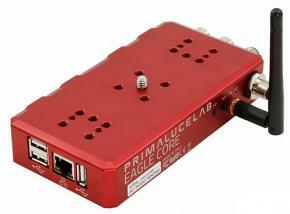 EAGLE CORE case is made of aluminum blocks that are high precision CNC machined. The aluminum is then sandblasted to achieve a very smooth surface finish and is anodized (hard anodizing) to increase the hardness of the material and protect it from oxidation. EAGLE CORE weights only 520 grams so it does not add too much weight on your telescope mount and allows you to create an incredibly portable setup. All in a device 17cm long, 8cm wide and just 3cm thick. 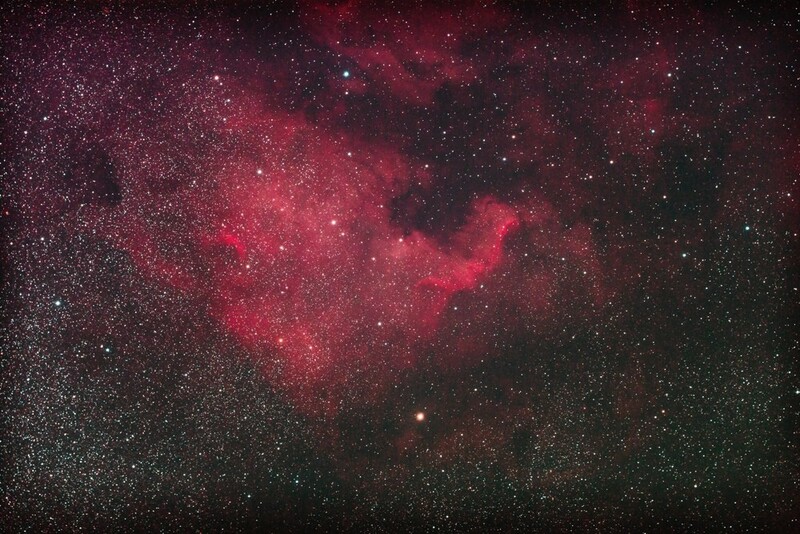 Astrophotography with telephoto lens or telescope? 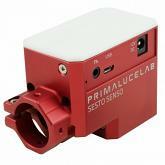 Primaluce Lab have just announced (6 Sep 2018) the release of the updated version of EAGLE CORE firmware (2.2) that supports autoguiding with ZWO cameras and imaging with even more DSLR cameras. You can download the latest firmware for the Eagle Core here. CLICK HERE! With Celestron’s SkyPortal device (formerly known as SkyQ Link 2), connected to the Italian Primaluce Lab’s EAGLE CORE, you can control many Celestron mounts using the SkyPortal or SkySafary planetarium app, you can start autoguiding and capturing with a DSLR camera using EAGLE OS software, in order to easily perform astrophotography via WiFi from any iOS or Android smartphone or tablet! Usually SkyPortal device creates its own WiFi network that you connect to but in this article we’ll see how to connect it to EAGLE CORE: this way you can connect your iOS or Android device to EAGLE CORE WiFi and take full wireless control of the telescope that will be easier to use and transport, a perfect instrument for astrophotography.